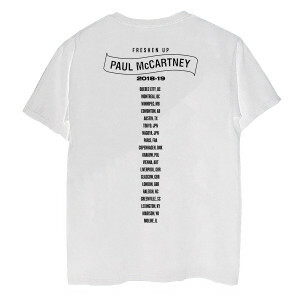 Vintage white t-shirt featuring photo of Paul McCartney on the front and 2018 - 2019 World Tour datebacks on the back. Love music! GREAT ( if only momentary) diversion from the "daily grind." LIVE music is best and it does not get any better than Paul McCartney! 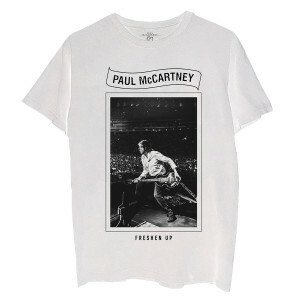 Wearing the McCartney T-shirt is always a nice reminder of a magical night, listening to the BEST rock and roll musician/ writer of all time!! Only criticism is that price could be $5-10 less (but NO big deal). I bought the black "Freshen Up" shirt and now bought the white as I posted I would. By making this purchase with the 15% Halloween discount, the final price was 52 cents more than the price at the concert venues. A great hassle-free shirt and great deal all around. You know what? I love this shirt. 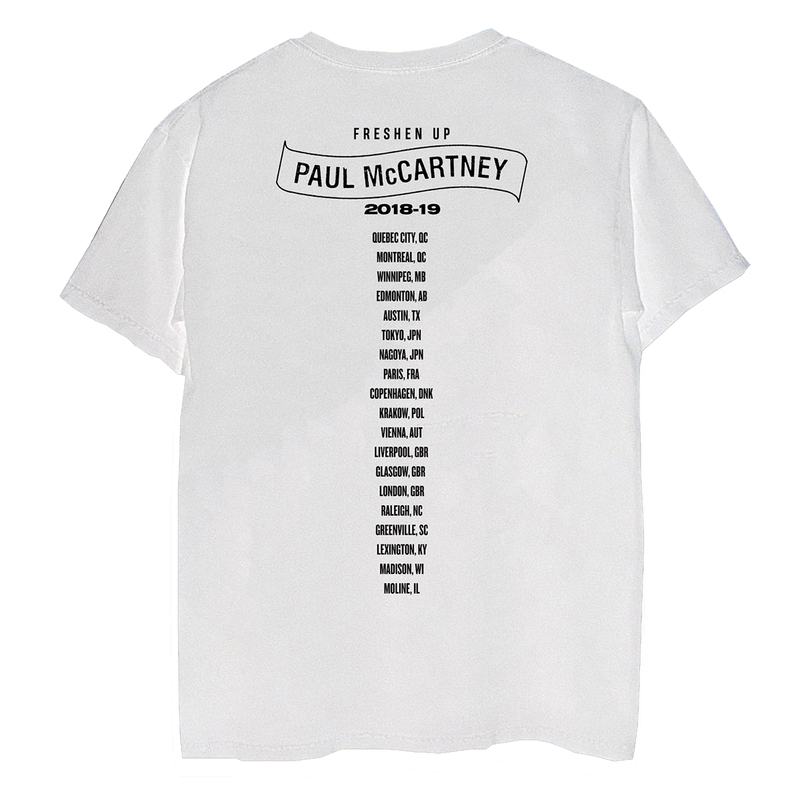 Not because it's the best t-shirt in the world - although it's a good one and the sizing was accurate enough that it fits exactly like I hoped it would - it's that it brought back what a great night seeing McCartney live was. Reminded me every time I passed a reflection that one more thing on the bucket list got ticked off. If money was no object, I'd order more.